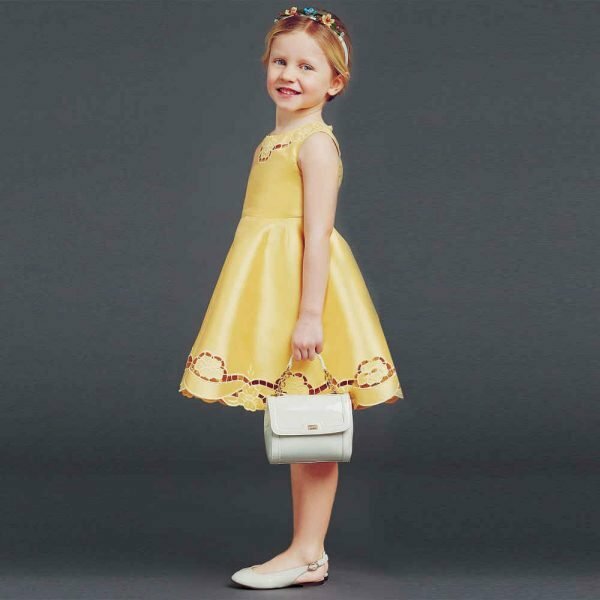 Such an adorable dress for Dolce & Gabbana Girls featuring the Teatro dei Puppi – Puppet Theater Print. 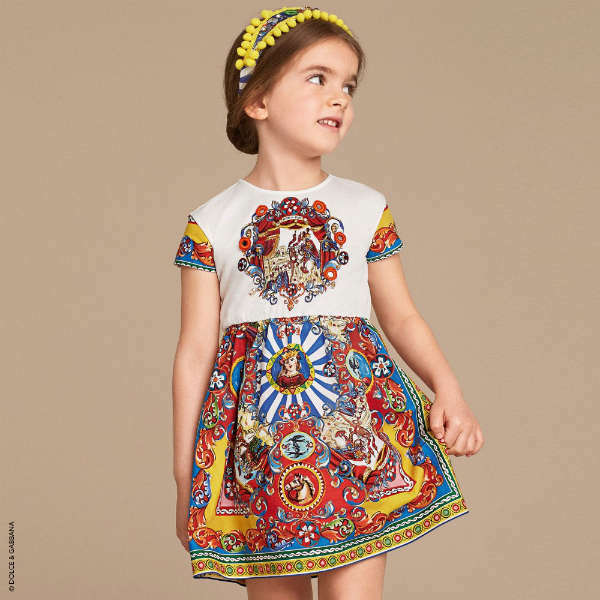 This smooth and lightweight Spring Summer dress features the delightful 'theatre of puppets' print is colourful and detailed, depicting characters of ancient Sicily. The top half is in white, with a cameo print in the centre that is embellished with jewels and mirrors.